On Wednesday, April 5th, Branko Džinović will be joining Chelsea Shanoff, a Toronto-based saxophonist, for a performance of Small Talks for baritone saxophone (without mouthpiece) and accordion reed box, by Wojtek Blecharz (1981), a unique figure of Polish contemporary music. From November 14th to November 22nd, Branko Džinović will join the National Ballet of Canada ensemble for the adaptation of Shakespeare's The Winter's Tale, with choreography by Christopher Wheeldon and music by Joby Talbot. For more information, please click here. On November 29, Branko Džinović will give a lecture at the Faculty of Music at Wilfrid Laurier University in Waterloo, ON. 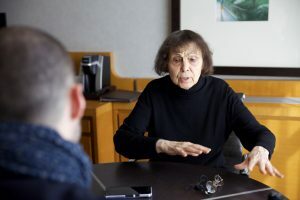 He will talk about his doctoral research which examined the creative dialogues between Sofia Gubaidulina, one of the greatest living composers and some of her closest performer/collaborators. In addition, Džinović will present the technical and sonic possibilities of the accordion to student composers, to help them familiarize and write for the instrument. On March 6, Branko Džinović will present his doctoral research on the composer-performer relationship in Sofia Gubaidulina's works for the bayan and accordion at the National Institute of Musicology in Buenos Aires, Argentina. On March 26, Branko Džinović will present his doctoral research on the composer-performer relationship in Sofia Gubaidulina's works for the bayan and accordion at the Academy of Arts in Novi Sad, Serbia. On April 16th, Branko Džinović will present his doctoral research on the composer-performer relationship in Sofia Gubaidulina’s works for the bayan and accordion at the Institute of Musicology at the Serbian Academy of Sciences and Arts, Belgrade. On April 20th, Branko Džinović will present his doctoral research on the composer-performer relationship in Sofia Gubaidulina's works for the bayan and accordion at Anton Bruckner Private University in Linz, Austria. On April 23, Branko Džinović will present his doctoral research on the composer-performer relationship in Sofia Gubaidulina's works for the bayan and accordion at the Academy of Performing Arts in Bratislava, Slovakia. Lecture time to be announced. From April 25th to April 28th, Branko Džinović will join the jury of the 43rd International Accordion Competition in Pula, Croatia. This competition with high requirements and a long tradition is one of the most important events for the classical accordion in southeastern Europe. For details, please click here. On May 23rd, Branko Džinović will present his doctoral research on the composer-performer relationship in Sofia Gubaidulina's works for the bayan and accordion at The Orpheus Institute in Ghent, Belgium. 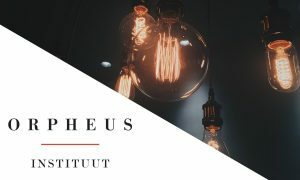 The Orpheus Institute is an international centre focused on artistic research in music. From May 24th to May 27th, Branko Džinović will join the jury of the 3rd International Accordion and Chamber Music Festival Eufonija in Novi Sad, Serbia. For more information, please click here. During the month of November, Branko Džinović will collaborate with Danka Sekulović (Cirkusfera), the Serbian contemporary circus artist, and Ana Popović (Threepenny), an emerging Belgrade-based director on "Not the Right Leg," a theater piece inspired by the Sekulović's personal experience of recovering from the major leg injury. 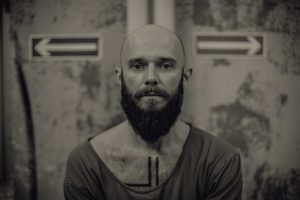 For this autobiographical piece, Džinović will perform his original music onstage.